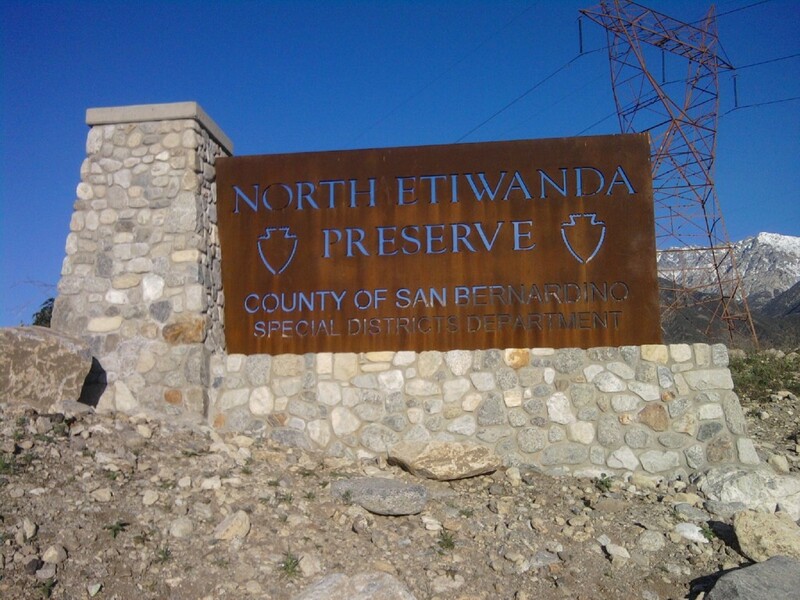 The North Etiwanda Preserve is located at the northern terminus of Etiwanda Avenue in the foothill area above Rancho Cucamonga. There is NO fee for parking, it’s free! *Exit Day Creek Boulevard in the City of Rancho Cucamonga and head north. *Proceed on Day Creek Blvd 2.2 miles until you reach Etiwanda Avenue. *Day Creek will veer east and end at Etiwanda Avenue. *Take Etiwanda Avenue north approximately .3 mile until the pavement ends. *Continue on dirt road approximately 600 feet to the designate gravel parking area. DOG FRIENDLY? : No dogs allowed. RECOMMENDED: Small day pack, 2 to 3 liters of water, good hiking shoes/boots, a good attitude. HIKE WALKTHROUGH: From the parking lot, we’ll head out to the trail head just around the corner. 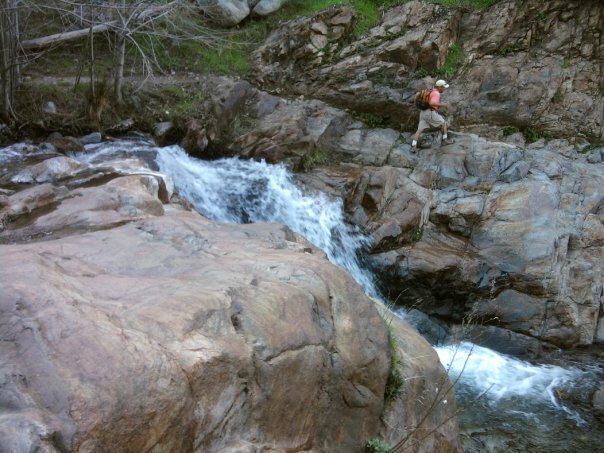 The trail is quite rocky, some good comfortable hard-bottom shoes are recommended. 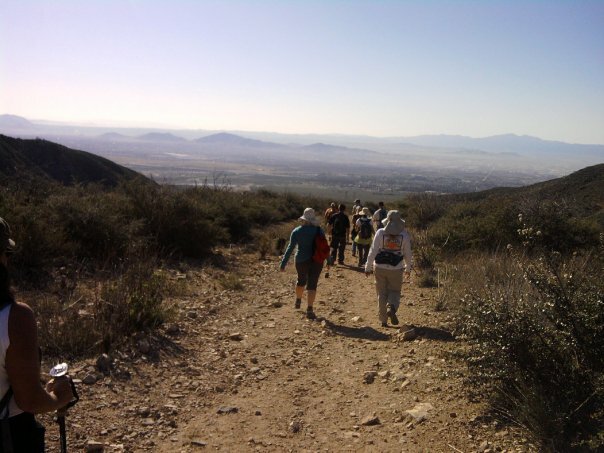 From the trail head, we’ll be heading up at a slow/easy pace up an incline for about 1.25 miles on the main trail head. We’ll get off the main trail for about 1/2 a mile to get our way to the Waterfall close by the area. From there we will back track to the main trail and continue on the loop for another 1mile. We will then get off the main trail once again and head north to an old gauging station (it was used to measure the height of the water coming downstream) for 3/4 miles. On our way there, we’ll be going over some old trees, so be prepared to have some fun on an unusual trail. We’ll stay up there for about 15-20 minutes and have our break. Then we’ll head back down the same ‘tree’ path to the main trail. We’ll continue on the main path until we return back to the parking lot. We’ll pass by some old monuments and marsh areas which are fun to see.